Finals are coming, and we know you need a place to study. We’ve got your back — the library will be open EXTRA HOURS starting this Saturday, June 16! 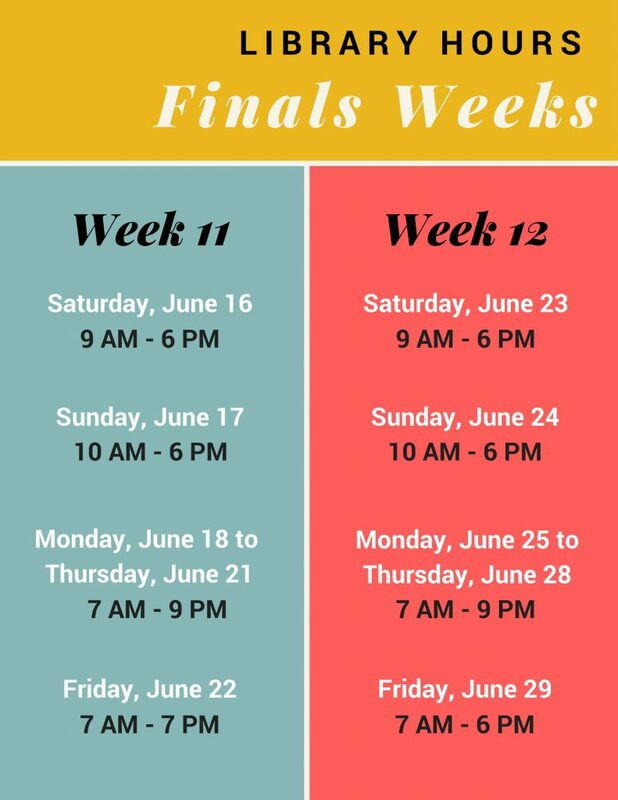 So, come get ready to rock your exams with extended hours!